Anyone Use Rich's Bettercreme Icing? I have a few questions about it. I'm considering buying it from Sam's club bakery this weekend for a cake at the end of the month. and others in the future. 1. This is the "cool whip" icing everyone likes right? 2. This is the pre-made version. I can freeze it right? They said they use it straight out of the bucket, do you do that? or do you re-whip? 3. How do you smooth the icing? I'm guessing you can't use the paper towel method. 4. Anyone tried the chocolate version? 5. Any disadvantages to using it over buttercream? I'm really excited about buying this. The woman on the phone said they sell it in 15 pound buckets for like $22. I did the math and that's even cheaper than making 15 pounds of buttercream at home. Plus the Rich's website says it covers twice as many cakes as buttercream, pound for pound. So I guess that means it's more like having 30 pounds of buttercream. I just know a lot of people like the "cool whip" frosting and I wasn't able to find any recipes that sounded economical or easy enough to try. We used it all the time in the bakery I worked at. Though, we never froze it after it was whipped up, so I don't know what that would do to it, we just refrigerated it and used as needed. It is the "cool whip" type icing. You only need to whip it if it is getting too soft. If you whip it too much, it will get very stiff and be near impossible to spread on a cake. I don't think you can use Viva on it either. It is a non-crusting icing and will stick to it. The chocolate version tastes like light chocolate "cool Whip", but we didn't use that one very often. I don't think there are any disadvantages to it other than it's non-crusting. I love the rich's. The chocolate is tasty too. I used it for piping borders on ice cream cakes at baskin robbins. We didn't ice with it. I thought it needed to stay refrigerated, though. Can you put your bucket in the fridge? Can you use it up before it expires? Just a couple things to ask. When I used it, it came in cartons like whipped cream, and you poured it in the mixer to whip up. I am assuming they get it in cartons and whip it up and put it in a bucket. (I could be totally wrong) I would ask some more questions. It is a great product. I didn't know that Sam's Club would sell it to you. I'll have to check into that here where I live .... I have one not far from my house. I didn't know ya could buy that stuff. I LOVE that frosting as well. I have tried making the whipped cream, creamy whipped, etc frosting recipes from this site and none of them have come out like the Sam's Club or Costco frosting. So do ya gotta call them ahead of time and let'em know ya want a bucket? Does anyone have a recipe that actually comes out tasting like those? Hi sun33082. I use the pre-whipped everyday at work. It is the one similar to cool whip. you can freeze it. although, after the bucket has thawed, I wouldn't recommend refreezing it. So, take your cooler when you get there and make sure they give you one from the freezer and not from their cooler. once thawed, you have 14 days in the cooler/refrigerator to use it. The cakes, once decorated, can be frozen up to 14 days. It is shelf stable in a cooler for up to 7 days and without a cooler for 5 days. It won't spoil without refrigeration in that time. The longer it stays out of refrigeration, the more difficult it is to work with. It gets airy and hard to smooth...lots of air bubbles ...IF BUCKET STAYS OUT TOO LONG. What I recommend is, to remove what you will be working with from the bucket...put bucket back in the freezer...put what you will be needing in cooler...it should thaw in cooler and not on the counter. unless you will be going through that amount in 14 days...in that case, put the whole thing in cooler to thaw. It tends to stiffen up quickly when gel colorants are mixed with it....so, once mixed be ready to decorate. The chocolate is good...you have to add a few more smoothing strokes to it to get it to smooth though. ASK THEM FOR A TASTE OF IT. They should be more than willing to allow you to taste it. I use Rich's quite often. I used it on my birthday cake because I was in a hurry. It was very good and everyone loved it! After doing each cake, I put it in the freezer. It does not harden or anything. I really like the convienience of it. If they told you $22 for a bucket, jump on that!!! That is a great deal!!! I pay 3.50 for a quart at GFS. Thanks for all the great info and reassurance! I definitely want to use it. I had heard someone put it in smaller containers and that's what I planned to do cuz I'm not doing enough cakes yet to use a whole bucket in 14 days. I'm thinking of buying a small chest freezer but keep talking myself out of it. I'll be sure to call them again before I go to get it. Definitely want a frozen bucket and don't want to drive across town and find out they don't have any to sell me. I had called GFS too, but the smallest they could sell me was like 6 6.5 pound containers for $53 (I'm guessing it was the liquid form that you have to whip). I think I would prefer the convience of the already whipped and both are still cheaper than making the buttercream that most people don't seem to like. Oh and if you go to Richs.com they show that they sell it in liquid form and pre-whipped form. So Sam's doesn't just whip it and put it in a bucket, it comes in a bucket to them. ok...here's an out there question of the "mad scientist" variety. Has anyone ever whipped it up and then blended it w/ buttercream? Interesting question doug. Now I'm curious! As long as it didn't do something weird and funky, I would think that would be a really good way to "mellow out" buttercream. Wow, what a great price. I think I pay $2.95 a quart. I didn't know you could get it from Sams Club. I think the nearest one is about 45 minutes away, I'll have to check it out. Right now I go to Rich's to get it and that's about 1 1/2 hrs away. Yes I treid that and it is NASTY! the two DO NOT MIX. When I first learned to decorate my instructor (privte one from Richs Company) warned me never to mix them. I just thought one day I would try it anyway, and the consistency is terrible because it doesn't incorporate, and the taste is awful. I own a small gracoery store with my husband and I am in charge of the bakery. 90 percent of my customers want the richs whipped frosting. It does taste GREAT, it isn't very sweet. The tubs come to me frozen already mixed, just open and use. It doesn't work to refreeze, so make sure you just thaw out the amount you need. I ice my cake with a frosting bag with an icer tip in it. As far as getting it smooth, I use a plastic scraper (like a bench scraper) I set the cake on the turn table and run my scraper along the cake as I am spinning it around. It comes out very smooth. The viva method will not work, this icing has lots of moisture, and won't crust. I don't have any pictures in my file. I try to keep my business stuff off my page. At the store all I do is sheet cakes iced in Richs, and air brushed and plastic decorations. Nothing ever as cool as the cakes here. Richs is very easy to work with, its what I learned with. You can even master roses, don't let the soft consistency scare you. all4cake R U saying Sam's will sell cake pans? I'm not all4cake but I'll answer. Sam's bakeries generally do not bake their own cakes. The receive them in frozen and just decorate them. Rich's is incredibly easy to smooth...after years using it in a grocery store bakery, I was shocked at how difficult it is to ice a flat cake smooth in BC! It doesn't set up like BC though, and sometimes it's a disadvantage to have an icing that stays soft But if you can buy it cheap & thaw only a cake's worth at a time, then go for it! Great with fresh fruit cakes too! Cindy, I tried mixing the two also, bad, bad, bad! And yes, it doesn't really mix, but stays streaky, yuck! I worked in a Sam's Club bakery for 12 years before leaving when I opened my own and all of these other postings are correct. Because it "non dairy" whipped topping it does not have to be refridgerated although Rich's says it should but it does taste much better when it is chilled. I buy both my Buttercream and whipped cream at Sam's still plus many packaging materials (like 1/2 sheet pads that are like $11 for 50 instead of buying the wilton ones that are like a dollar a piece) As a former Sam's employee I can tell you if you just stop in and tell them you want something in bulk it will take time to look up item numbers for pricing, but if you call ahead and talk to the bakery manager they can print you off a price list of everything they are allowed to sell by the case, then you can call ahead and they can add it to there order every week. I get 2 buckets of Buttercream every week Hope this helps!! Thanks cakesandbakes! I only knew about getting bettercreme! I will definetely call them for those supplies in the future! Yeah it's a great deal if you have storage room and will use that many, I get pads and boxes for both full and half sheets plus the round containers and cardboard circles, They only have them in 12" but for the price a box of 250 of them work out to be like 10cents each. 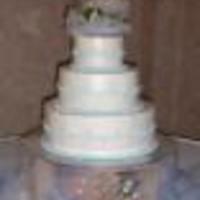 So I use them for the diffent smaller sizes of wedding cakes and cut them down. I'm loving all of this "inside" info! Thanks all for the "oh-no don't go there" on trying to mix Rich's w/ BC. of course now, ya all got me thinking about all the mousse type things i could create!!! thnaks for all the info. My church has been buying rich's for awhile and I have been wondering what I could do with it. Now I can give it a try. Also thanks for the info on the circles. I am always on the look out for cheap supplies! do all sams have a bakery dept? I don't think ours does. Would walmart have this icing?